Urinetown is Greg Kotis and Mark Hollman’s multi Tony Award winning comic musical. Set in an ill-fated future of drought and doubt, Urinetown was inspired by Kotis’s travels to Europe, during which time he encountered a pay-per use loo. 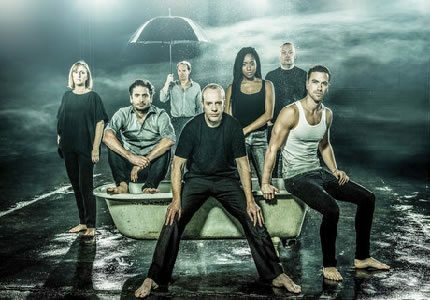 The production at the St James Theatre marks Urinetown’s West End debut. Urinetown is a socio-political satire, depicting a future that is dominated by the Urine Good Company (UGC), who have privatised all toilet facilities and have begun charging citizens to pee! If anyone is found breaking the law, they are sent away to “Urinetown,” a place from which they are very unlikely to return! Suffering the most are those huddled around Public Amenity #9, which is run by the power hungry Penelope Pennywise and her assistant, the rebellious Bobby Strong. Bobby feels the plight of the poor filthy citizens and when the UGC raise the price to pee, he decides it is time to take action! Urinetown is a funny but cautionary tale of sleaze and greed, however there is light at the end of the sewage tunnel…. 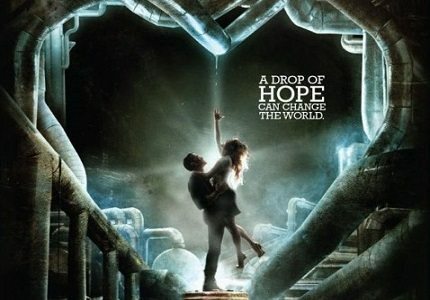 The Urinetown London cast includes Richard Fleeshman as Bobby, Jenna Russell as Penelope, Marc Elliot as Mr McQueen and Jonathan Slinger as Officer Lockstock. Whilst the show is considered to be too dark for young children, children over the age of 12 who are accompanied by an adult may enjoy the story and catchy music.